WHO: Dr. Paul Connett, Professor Emeritus in Environmental Chemistry at St. Lawrence University in Canton, NY. For the past 30 years, Paul has put his scientific knowledge to work by helping (without fee) communities around the world understand the science of controversial issues like incineration. In addition to explaining the dangers of these practices he offers details of the alternatives. Introduced by: Judith Enck, former head of the EPA Region 2, former NYS Deputy Secretary for the Environment. 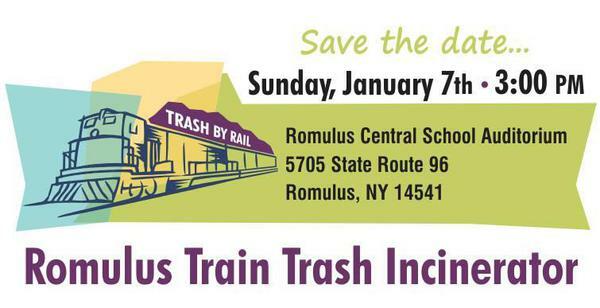 Watch: Trash Incinerator Forum January 7, 2018 On Jan. 7, 2018 we hosted an independent expert on how the impacts of the proposed “Waste to Energy” train trash facility at the Seneca Army Depot in the Town of Romulus would effect the Finger Lakes region.